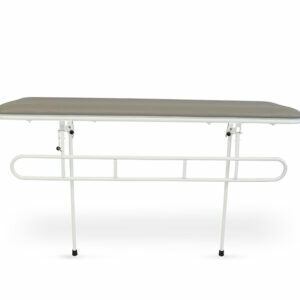 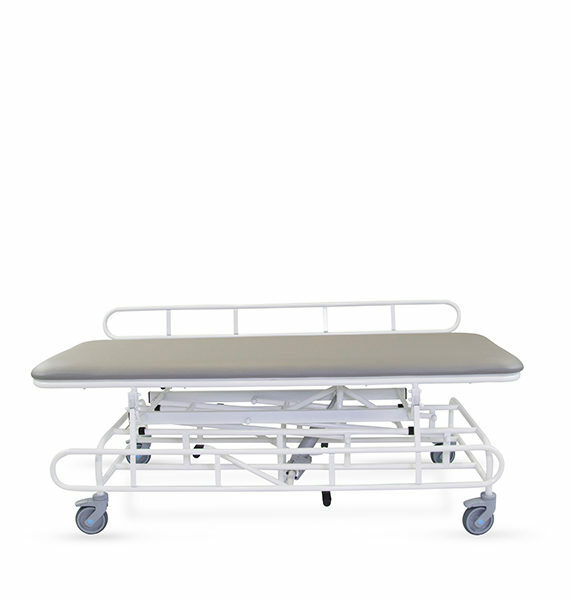 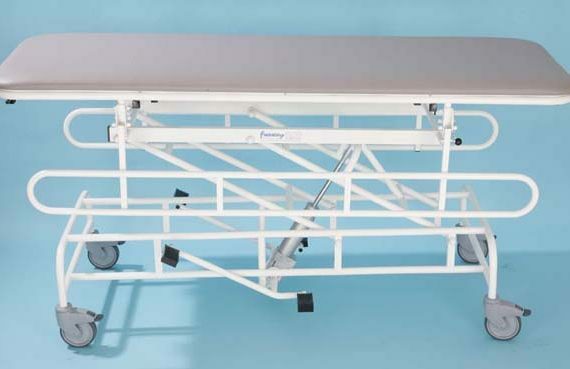 The Freeway Height Adjustable Changing Table/Transfer Trolley benefits from a comfortable, one-piece padded top, and is available with cot sides either all round or along long sides only. 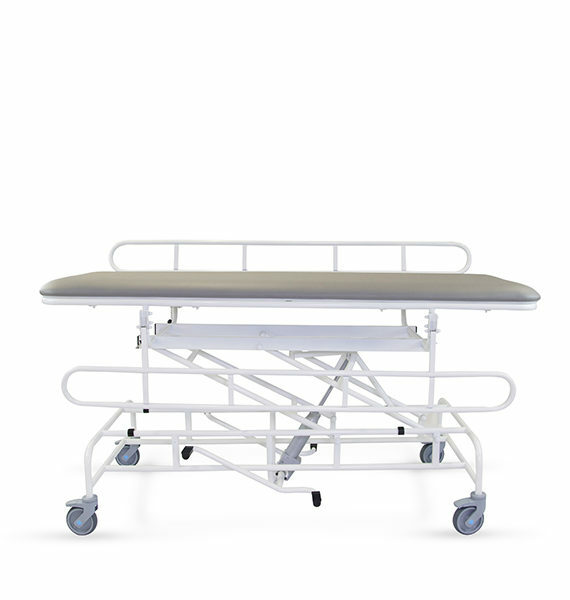 The combined table and trolley is available in the sizes: 1500mm (WTHPCT1500), 1700mm (WTHPCT1700), and 1900mm (WTHPCT1900). 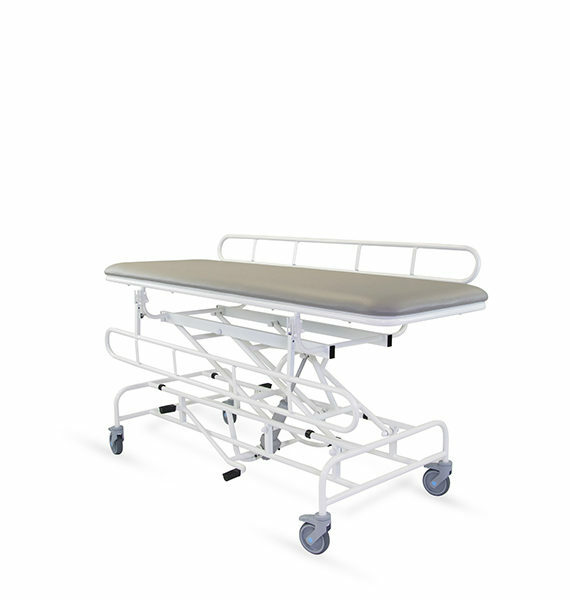 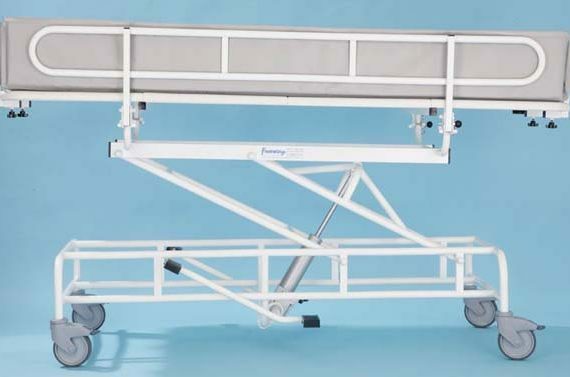 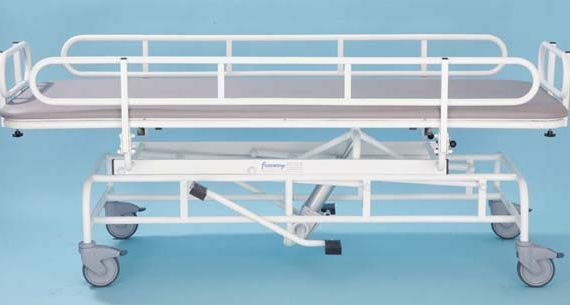 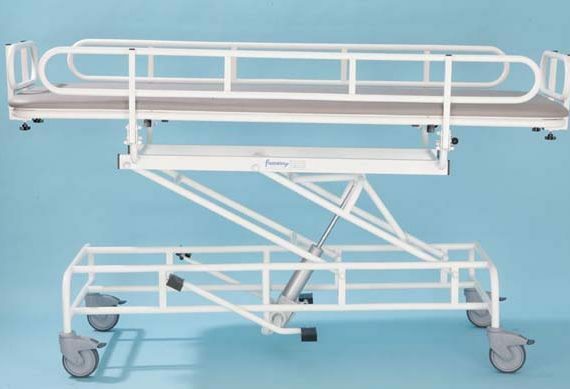 The Freeway Height Adjustable Changing Table/Transfer Trolley has a working height of between 600mm and 925mm, and is adjusted by a hydraulic foot pump. 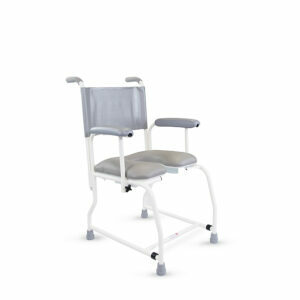 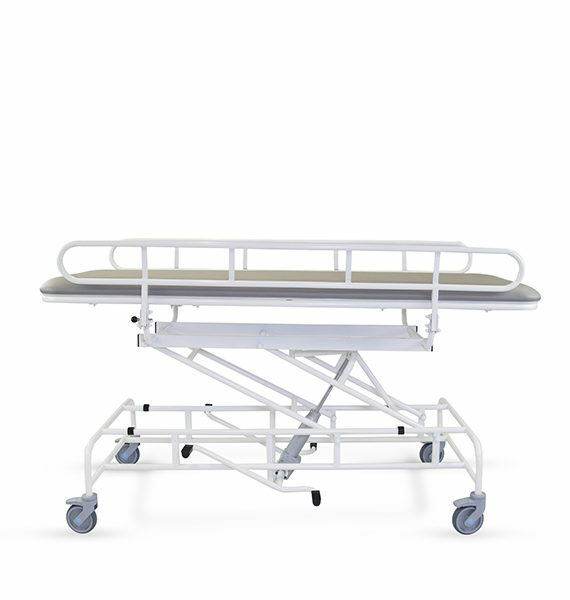 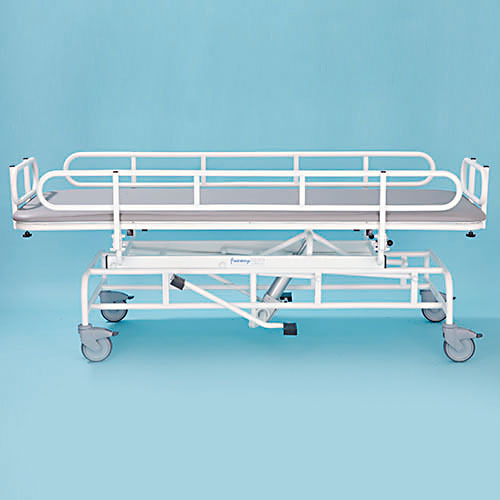 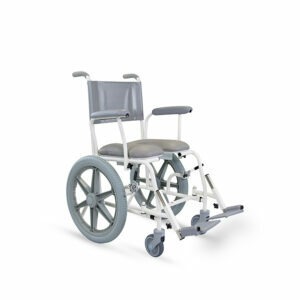 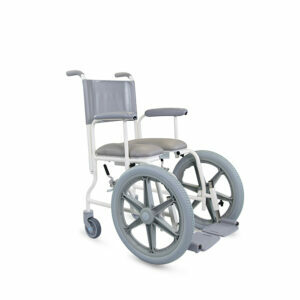 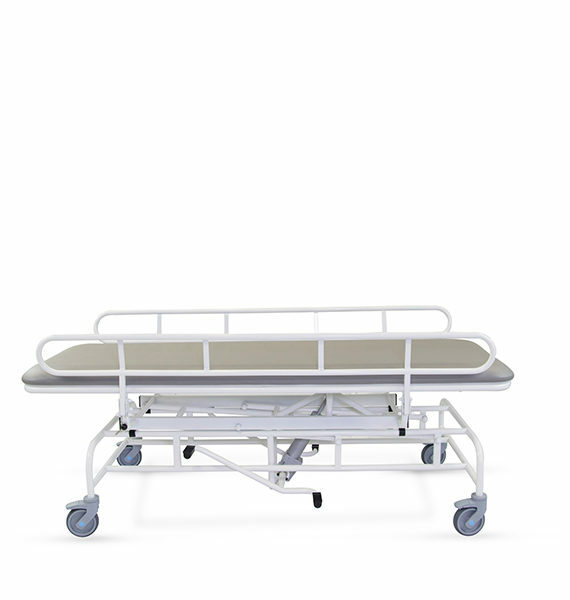 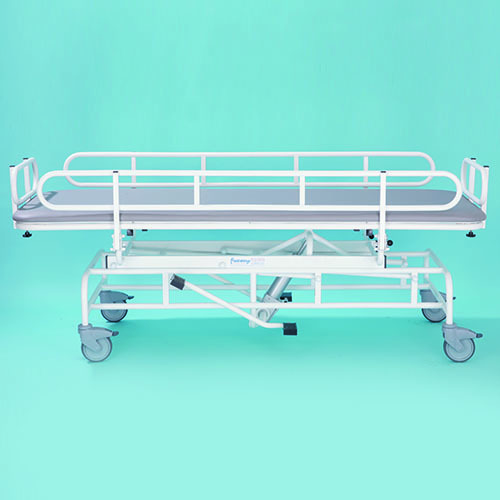 The protective coating of all of our shower trolleys and stretchers includes Freecote® – our unique antimicrobial and antibacterial coating which is resistant against the hospital super bug MRSA, e-coli, salmonella, and listeria.